This year I’m not in the mood to make house goals. I’m not being a scrooge. And I’m not anti-goals, I’m just feeling more like I want to be more spontaneous with projects. I think when it comes to my house and my projects, that is how I roll any way. Often times my home projects happen out of spontaneous inspiration or unexpected opportunities anyway, and not because I planned on them. So, yeah, I kind of feel like going with the flow this year and just see what happens! I like to be inspired to work on projects more than I like to map things out in advance, and sometimes it is just too hard to plan those inspired moments. I’m weird like that sometimes. I guess I like the idea of Home Dreams over Home Goals right now. Dreams are kind of like goals, but with wings. You might catch them, you might not. Either way, it is fun. 1. Rip out carpet in our living room, dining room, family room, bedroom and hall. If that project is possible financially, it would be my dream to have them all over for continuity and for ease of upkeep. Not only because I’m just not into carpet, but it has become a necessity due to this unfortunate incident (yes, we still hide the paint with a seagrass rug) and from having a puppy in the house. 2. More new lighting to replace builder’s lights around the house. I actually have two more lights to install like the one in the image above! I adore them and will show where I used those lights once they are all up. 3. A new fence for our backyard for Jack so he can take his energy outside. Eh hem. However, the side benefit of wearing his cone of shame this week is it has slowed down his ability for destruction tremendously. 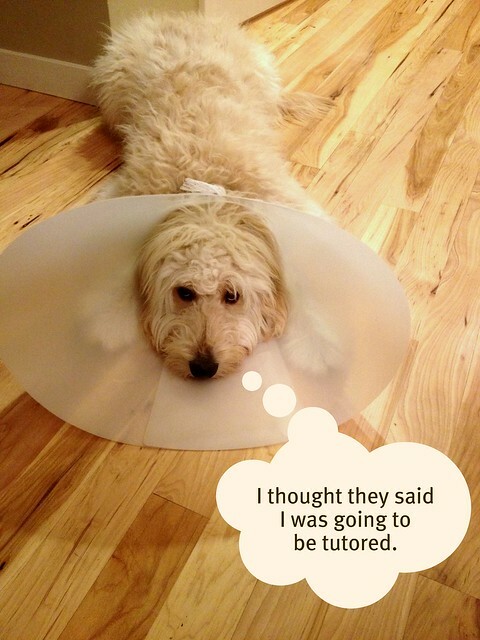 Did you ever see that cartoon about the dog all excited about going to the vet to get tutored? Yeah. That is exactly how Jack feels. 4. An office makeover, which I’ve been talking about forever and WILL DO one way or another in the next few months. It must happen. It will happen. OK, that is a goal. Not a dream. 5. Paint my bedroom and maybe do a little bedroom makeover. Like putting up real blinds or curtains instead of towels at the windows. WHAT? I still have windows without blinds. True story. 6. Repaint my family room. Yes, I just painted it a couple of years ago. But, while I love the color it is already showing signs of age AND, it flows into the kitchen which is not yet painted. So, I may change my mind on the color once I get to the kitchen. Which brings me to #7. 7. A kitchen makeover. I miss my old kitchen (you can see it via that link) and I’m ready to dream up a new one. 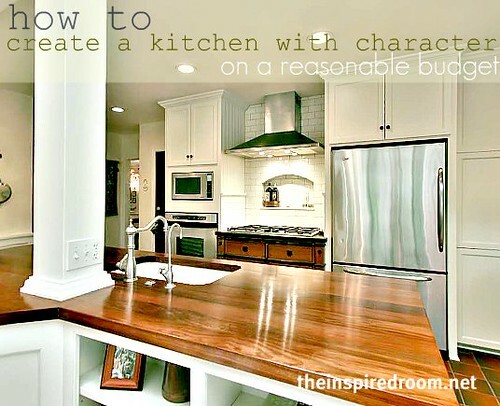 I want new counters, back splash, sink, faucet, appliances and paint and even perhaps reconfigure my cabinets. Details. But, reality is, it might be overkill for this year. Or not. I can dream. I will be remembering all the details I dreamed up for my old kitchen, while wanting to give my new one its own unique personality. Right now I’ve started my dream on my Kitchen Pinterest Board. So, let’s see how things go in 2012 and if any of my dreams come to be. Or if I create new dreams. We’ll see. If not, I’ll keep plugging away at repainting the swine walls — which was a goal from last year that we made a lot of progress on but is still not complete. 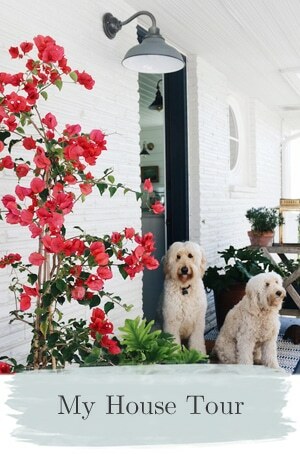 I’ve got a paint color post coming up as soon about why I choose the paint colors I do at this house and my old house, and we’ll check in on how far the painting has come and some other fun stuff. OK. How about you? If you did a 2012 Home Goal Post you can let us see it by leaving a comment with the link! Or, just tell us about your Home Dreams in the comments. Also if you’d like you can link up a post to Nester’s home goal party which is happening sometime Wednesday! Melissa, you sound like me. I have a longggggggggggg list of things I want to do to my builder grade home but, alas, time and money sometimes (all the time) take the lead. I have goals, oh I mean dreams, for my home this year, but knowing myself as I do, I may take a completely different path. You know “it was a whim” kind of thing. I have completed one project for the year. I painted the bookcases in my living room and I love them. They are black. Thanks for all your inspiration. Good luck with your dreams!! I love that quote!! I want to redo my bedroom this year too! Great list and I look forward to reading about these projects! You are organized! Way to go! Melissa, I couldn’t agree with you more. I had worked hours on a comprehensive list of projects that I wanted to complete on our home for 2012. Well, things happen and I rather doubt any of those projects will happen this year. At first I was so disappointed and now I have acceptance that it will be okay. It does not have to happen this year, next year or whenever. If it can then great, if not well, it will be fine. It is hard but I agree, once you find that peace in where you are it is freeing! House Dreams vs House Reality is where I’m living right now. Oh, I have dreams – dreams of a new kitchen, dreams of a hot tub retreat on the balcony, dreams of a gazebo. But reality is a fresh coat of paint on the kitchen cabinets and MAYBE a new ceramic floor. Me, too … except without the excuses I became so used to in the past! Oh yes. Sometimes excuses get in the way of things we could actually do!! Your post sounds great, I’ll check it out! I know what you mean if our dreams are bigger than reality like mine! Grabbing a hold of contentment can be a challenge but hopefully we can still hang onto the fun of dreaming :-) … while we keep things in perspective. Yes sometimes that means staying offline for awhile! I betcha you’ll achieve your home dreams before I do! Giggle. For no real goals, yours sound great! :-) I read on one blog that instead of setting resolutions we should list “intentions”…it helps the brain engage in planning on how you will accomplish what you want. This is a wonderful post. The best part was about the towels in the bedroom. 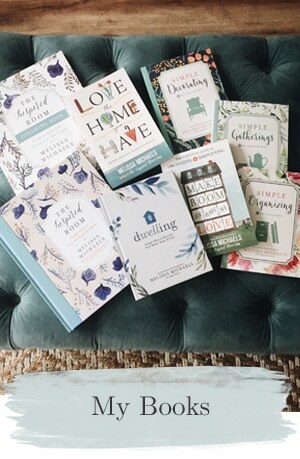 We see beautiful photos and read posts and articles about other people’s houses and think we are the only ones whose homes aren’t magazine-worthy. So we end up spending more money than we should, maybe even more money than we have, to achieve our goals now. I’ve been living in my current home for ten years. It needed everything but the money wasn’t there. I’m so glad I wasn’t able to do some things right away. My Grand Plan has changed and evolved. I have an Ideas file full of wonderful photos. I picture the changes in my home and live with the ideas. Sometimes, after living with them for a while, I realize that something so beautiful in another environment would be all wrong for my home. So much better than making the change in haste and having to live with it; so much cheaper and easier than tearing it out and doing it again, which I seem to see so many posting about on line. Such a waste! Dreams can be our best friends while goals can make us act in haste and repent at leisure. Inspire in Fantasy Land, don’t stop looking. Use the looking to feed your dreams so, when the time and funding comes, you’ll make great decisions that will save money and guarantee that you’ll be happy with the results. Yes. 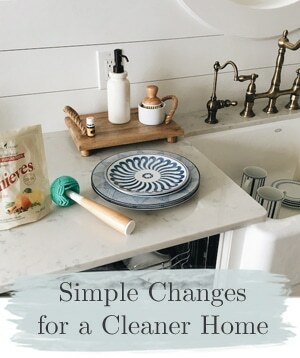 I actually have another post coming up about my feelings on my home and how they change! Excellent thoughts, I so agree! I like it. I learned to not get ‘ahead of myself’ the last couple years when I REALLY wanted to get my furniture biz off the ground, and reality kept me firmly tethered instead. I JUST did my 2011 wrap up blog… better late than never right?… and realize that maybe that is a better way for me to go: keep the nose to the grindstone using the minutes I have… without a destination in mind, and then look back and realize just how much I did accomplish after all. To do otherwise, aim for ___ and then get frustrated when I don’t arrive might be more than I can do right now. You are the most going/doing gal I know so you can’t imagine how much of a grin I’m wearing at the thought of “dreams not goals.” Poor baby Jack made me laugh out loud! What an inspiring post! I have a litany list of projects for my home. It has all felt like drudgery because they are things I HAVE to do. I want to be re-energized and excited about my house, not that it is yet another chore for me to complete. I have made a master list (the never-ending project list!) and have broken it down into smaller tasks. Perhaps if I am not so focused on the big picture, I won’t be overwhelmed and will get my happy house mojo back. Looking forward to what is next not only from myself, but your lovely blog! 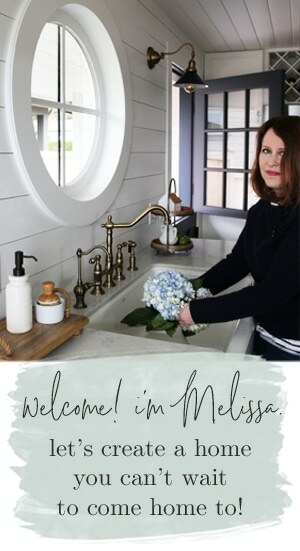 Melissa, could you discuss the pros and cons of wood countertops? They are beautiful but I am still a little nervous about wood around water. What kind of wood are those in your old kitchen? 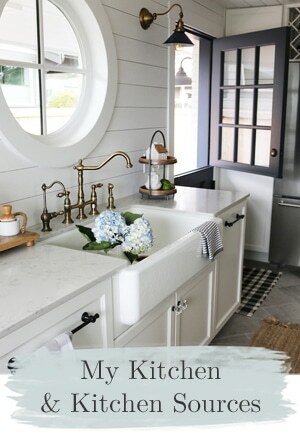 Also LOVE the ideas on your dream kitchen Pinterest board…we have similar dreams! Yes, let me put my answer in a post so it will be easier for others to locate! Thanks for the question! As we start making progress towards totally remodeling our warehouse into our new store we can definitely sympathize with being unsure if you can make the dreams a reality. In the meantime though, we continue to dream about a huge wall of windows in a New York loft style, a nice little kitchenette where we can whip up special treats for our customers, and having a space that will not only inspire them, but us as well. Jack is such a cutie. i think we just might take advantage of the horrible condition of the floors and just make it work for us. God ahead and make them MORE distressed – and then stain and seal em. Meanwhile, we have many more goals that will be faster and less labor intensive. I a so curious how you will address your faux fireplace! So many good ideas shared…I’ll be checking back!!! I’ve been reading your blog for a while and love how your Jack stories are woven in. With my 10 month old Rufus, life is chew festival here too. Your blog lightens the mood, and has reinspired me decorate anyway! He’ll grow up eventually…I hope. I am just cracking up over that picture of your dog! Precious! I am off to a slow start this year and I have only written down a few goals but have a ton in my mind. 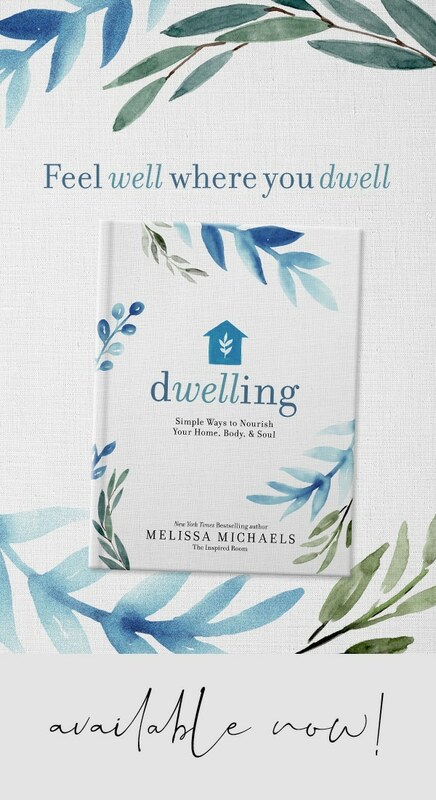 Sometimes I just wake up and think – Hey maybe we need to do this…My house just kind of evolves as my family grows and life changes. Plus we are focusing on getting a golden retriever puppy next month so we are “preparing” for that change around here! Omgosh! You have to pull up that carpet if you think you have hickory floors underneath! I mean, not just hardwood floors, but hickory! Hickory is real popular here in Texas for kitchen cabinets.. Love the rich warm look of it.